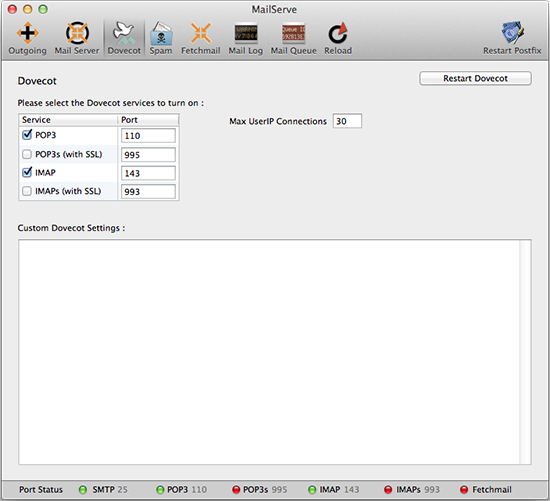 The Max UserIP Connections field allows Dovecot to control the number of concurrent connections a user can make to the server. The default is 30 but the administrator can increase it when it has multiple clients accessing the server from multiple devices. Finally, there is a Custom Dovecot Settings field you can use to enter additional Dovecot paremeters on top of the ones set by MailServe.